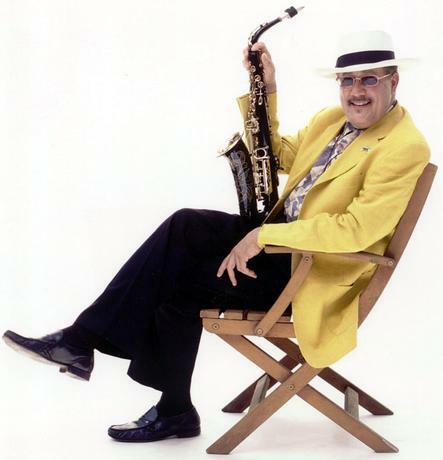 Latin jazz great Paquito D’Rivera will perform on Saturday, January 24, 2015 at the Jim Rouse Theatre in Columbia, MD. Just back from a tour in Europe and Asia, the 12-time Grammy-winning saxophone and clarinet master will headline at the 11th annual Jazz @ The Lake Concert. D’Rivera is celebrated both for his artistry in Latin jazz and his achievements as a classical composer. He moves effortlessly among jazz, Latin, and classical genres. Rivera will be accompanied by noted jazz musicians Diego Urcola (trumpet), Alex Brown (piano), Zach Brown (bass), Eric Doob (drums), and Paulo Stagnaro (percussion). The award-winning Wilde Lake High School Jazz Ensemble will open the show and perform a joint piece with D’Rivera, known for mentoring young musicians. Wilde Lake Band Director Lewis Dutrow promises a “hot night of cool jazz” for all in attendance. The concert is on Saturday, January 24 at 7:30 PM at the Jim Rouse Theatre, Wilde Lake High School, 5460 Trumpeter Rd., Columbia, 21044. Advance purchase of tickets recommended. Purchase tickets online at InstantSeats.com/events/JimRouseTheatre. For more information, contact WildeLakeJazz@gmail.com or 410-997-2070.